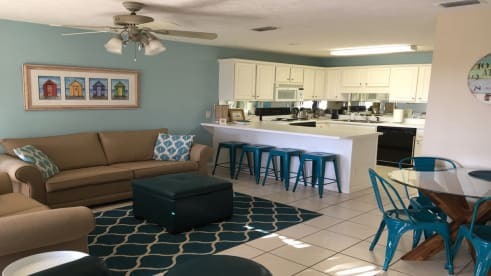 Roger and I are happy to share with you our little piece of heaven in Panama City Beach, FL! We love being on the water and live on Lake Harding near Auburn, AL. This property is our personal vacation home we rent to help in offsetting the cost of maintaining it. We do not have multiple units for rent, and this is not a business for us. It's our beach home and we would love for our guests to become part of our rental family, returning to enjoy this getaway for years to come!